One of my closest friends had her birthday this week. When trying to figure out what to do to celebrate, I offered to make dinner for her and a few friends – she happily agreed. We decided on some Turkish dishes (paying homage to half of my heritage). 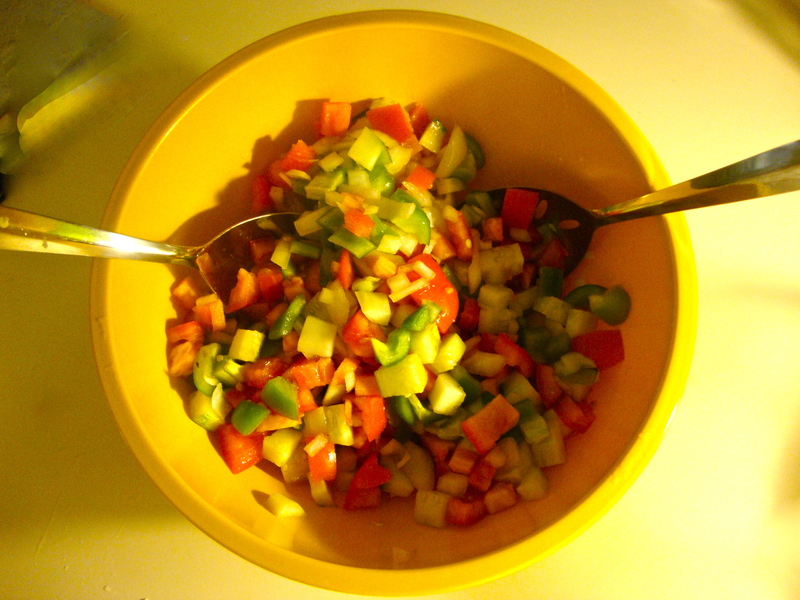 Vegetables are central to Turkish cooking and Turks really love their salads. For one dish out of many, (I went a little overboard but that’s a post for another time) I decided to make Coban Salatasi, or “Shepherd’s Salad.” This dish is ubiquitous in Turkey – so simple but amazingly delicious. 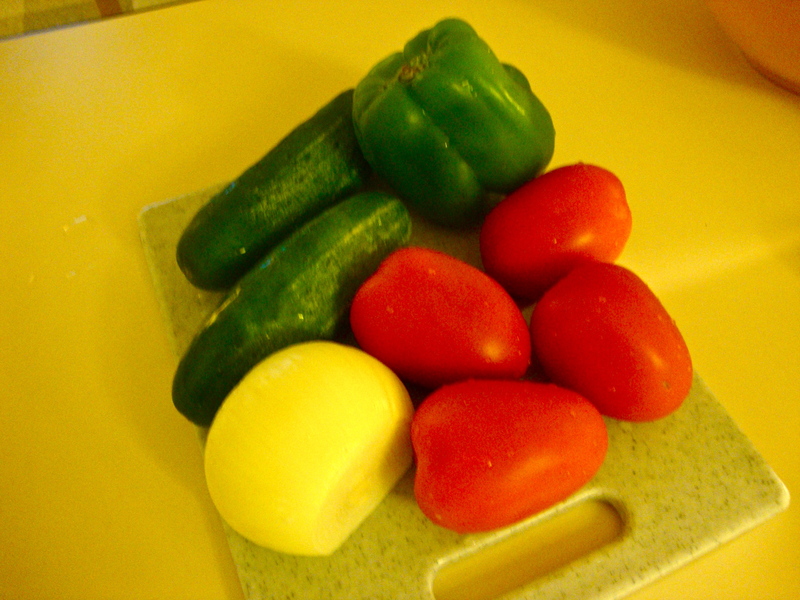 It gets its name from the idea that when the shepherd goes to lunch he brings a tomato, cucumber, and pepper then cuts them up and eats them together. The strength of the dish is that you really get the taste of the vegetables, very different from the American custom from drowning anything green in thick dressings. I will eat this salad with basically anything because it’s an amazing burst of fresh flavor next to any dish… turned out to be a hit at the party! Peel the skin off your onion and dice it. 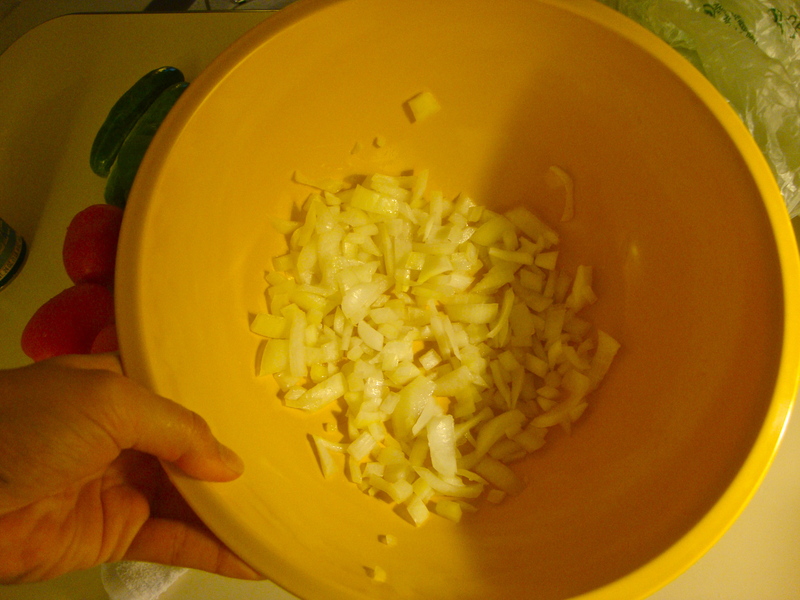 In a large bowl spread out cut up onion and sprinkle salt, about 1 tsp. Use your fingers to rub the onions so that the salt is evenly distributed. 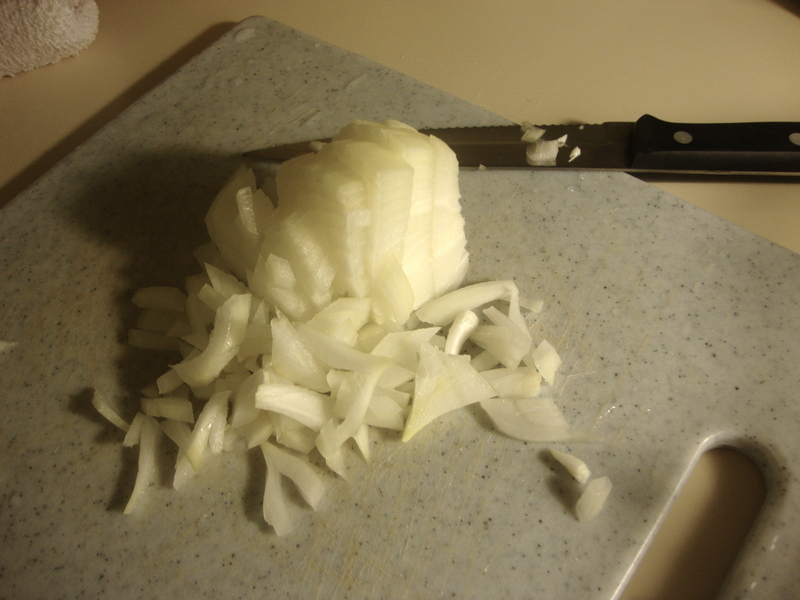 This is a little trick that will help to take the bitterness out of the onions. Let sit for about 5 minutes. Meanwhile, wash your vegetables. 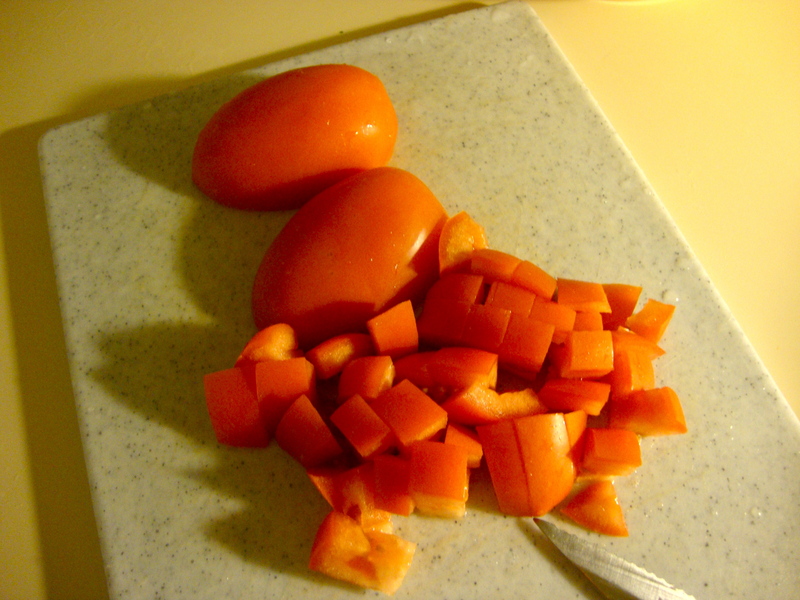 Dice the tomatoes (I can never cut them in even sized pieces but maybe you can). Add them to onions. 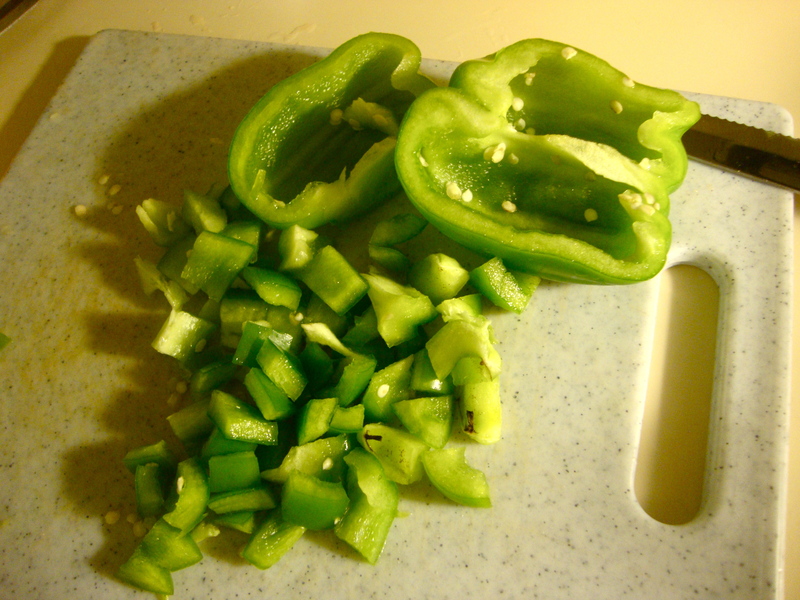 Cut your pepper and cucumber in chunks approximately equal in size to the tomato pieces, add to mix. 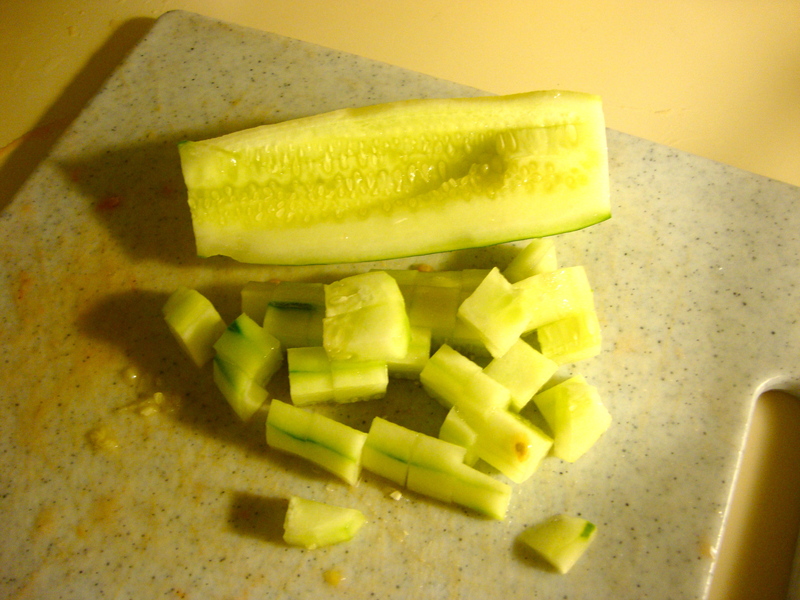 If your cucumber has a lot of seeds you may want to cut them out before dicing.